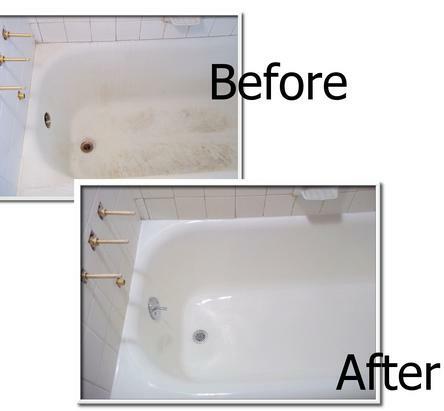 We are San Francisco Bathtub Refinishing Specialists! The Bathtub Medic offers quality bathtub refinishing and repair services. From minor chip repairs, to major renovations and refinish services, our skilled professionals provide premier services that meet (and exceed) your expectations. Bathtub to Shower Conversions – Cut out the wall of a fiberglass or porcelain-on-steel bathtub, then install an attractive Safeway Step in its place. This allows people who have difficulty walking to more easily and safely enter a tub. Installation of Acrylic or PVC Wall Surrounds – This is an attractive alternative to ceramic tile. The Bathtub Medic can install acrylic or PVC walls around a bathtub, leaving an attractive, easy to clean shower. Wall surrounds are also significantly less expensive than tile. Resurfacing Counter Tops – Refinish formica or tiled counters in a variety of multi-colored looks. This coating is durable and a fraction of the cost of replacement. Steam Cleaning of Tiled Walls – When tile looks dingy, a simple cleaning is all it needs. At over 300 degrees, the steam can remove years of mineral build-up and soap film, leaving a clean, attractive look, and saving the resident many hundreds of dollars in the process. We’re versatile bathroom repair contractors, so we’re able to work with a myriad of other bathroom accents, such as shower pans, sinks, showers, etc. We can refinish porcelain or fiberglass bathtubs, creating brand new looks for the entire room. Sometimes the porcelain and fiberglass tub or sink looks fine, except for a couple of ugly chips or small cracks in the surface. Often it’s possible to do bathtub chip repair by filling with a body filler, then matching the color and air-brushing them. This process effectively hides the damaged areas backed by a written warranty, and will save the homeowner hundreds of dollars over the cost of refinishing the entire tub. 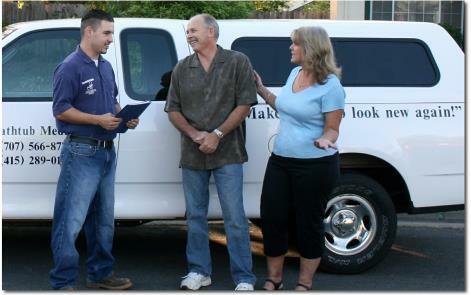 To learn more about any of our services, or to schedule an appointment, contact us today!